Load control nets, also known as load restraint nets are durable and extremely reliable nets ideally suited and extensively used within the transport, industrial and construction sectors for securing loads. They are especially useful in situations where the loads are uneven or bulky. 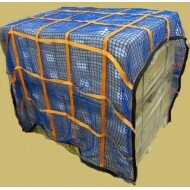 The nets can be used on pallets, on stationary loads in warehouses and also can be used within closed transport systems and containers as a load restraint. 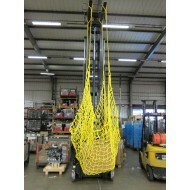 Many warehouses also use these nets to cover roll cages or trolleys to keep items contained during transit. 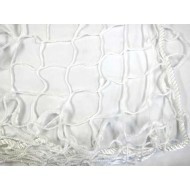 We stock a range of polypropylene or polyester nets ranging from lightweight to heavy duty netting. The nets can be made from webbing, mesh nets or cargo nets and are available in various sizes, mesh dimensions and densities depending on your requirements. Ratchet straps, cam buckles, hooks and other tensioning systems can be added so the nets can be easily and securely fastened. The minimum requirement is that the load restraint system must be sufficient to withstand a force not less than the total weight of the load forward, and half of the weight of the load backwards and sideways. 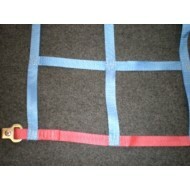 A correctly selected and fitted load control net can help to provide compliance with these regulations. 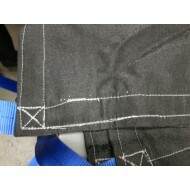 Debris netting, also known as debris containment netting, is commonly used on scaffolding on constru.. Medium duty cargo nets are multi-purpose nets which are suitable for use as a load restraint and con..
Webbing nets, also known as lashing nets, are multi-purpose, durable and extremely reliable nets whi..